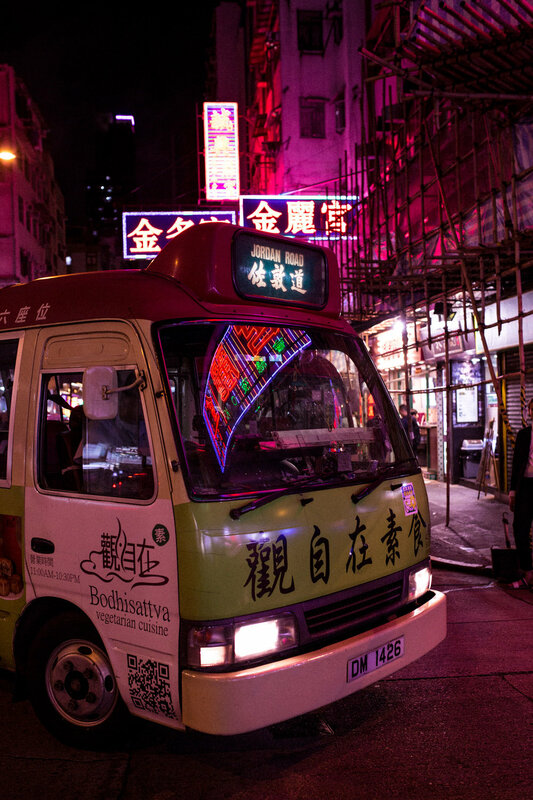 Follow along the Lips Brothers on the neon-lit streets of Mong Kok. Part of the reason why I love metropolises are their anonymity. Growing up in Switzerland that's not really something you get, even if living in the largest city. When in Zurich, you will often run into someone you know, or if you befriend someone new there are few degrees of separation (if any) to your existing friends. I'm not saying that it's something bad per se, but sometimes it feels good to go to a far away place and dive into anonymity. On our trip to Hong Kong in May that's exactly how I felt. Thousands of miles from home, in a city that is completely different, a language I don't understand at all and yet a culture that fascinates me so much. So one night we roamed the streets of Mong Kok together with Ceci, dressed in suits by Shanghai Tang, and got lost in the neon-lit streets of this buzzing area. Discovering a new place, while perhaps discovering something new about oneself, too.